300 kilometers South from Kyiv. Here is located one of the most unusual and interesting objects to visit in Ukraine. It is former soviet missile base and today it is the Strategic Missile Forces Museum. There're properly functioning launching positions of intercontinental ballistic missiles with nuclear warheads here. With two special features: the silo-launcher is filled with a concrete and the real nuclear warheads are absent. 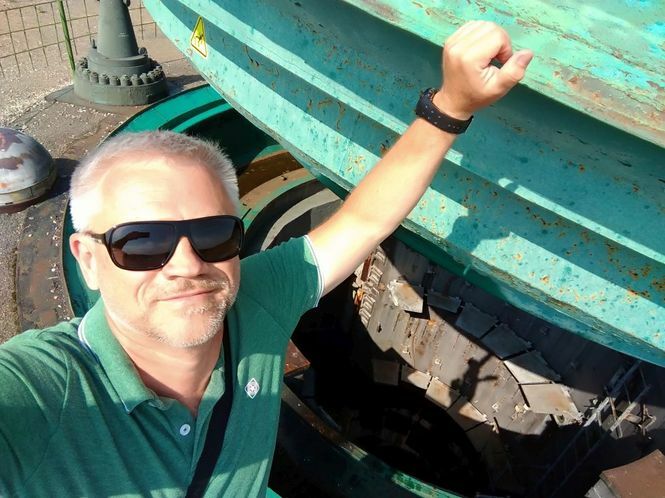 All other equipment is in good trim and functioning: underground command post, hundreds meters of underground corridors and kilometers of cables, a few types of equipment to connect "with Kremlin", enormous tractors. And, mainly, there are intercontinental ballistic missiles here. 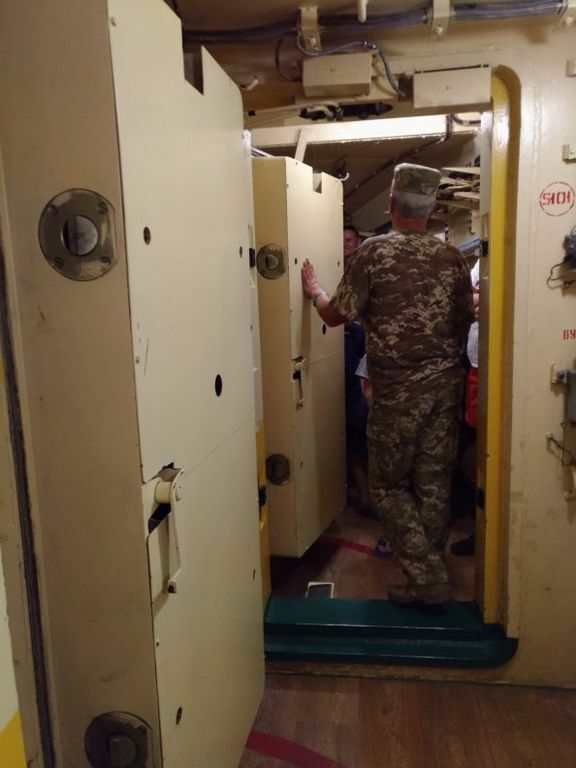 Guided tour will allow you to see and touch the famous heavy class multiaimed intercontinental missile SS – 18 "Satan", which was intended to defeat all types of aims, including protected by modern facilities of anti-ballistic missile defense. It was considered that using "Satan" allowed to realize the “assured return strike“ strategy. These terrible monsters of cold war, that frightened Western Europe and America in the years of nuclear confrontation, are available now for tour and photographing during an excursion at the Strategic Missile Forces Museum. A few years ago for an attempt to take picture of nuclear missiles and top-secret equipment you would be accused for espionage and would disappear forever. Today former soviet rocket base opens door of the SMF Museum for visitors from the USA, Germany, Great Britain and other countries. The Museum was created not on a blank place. 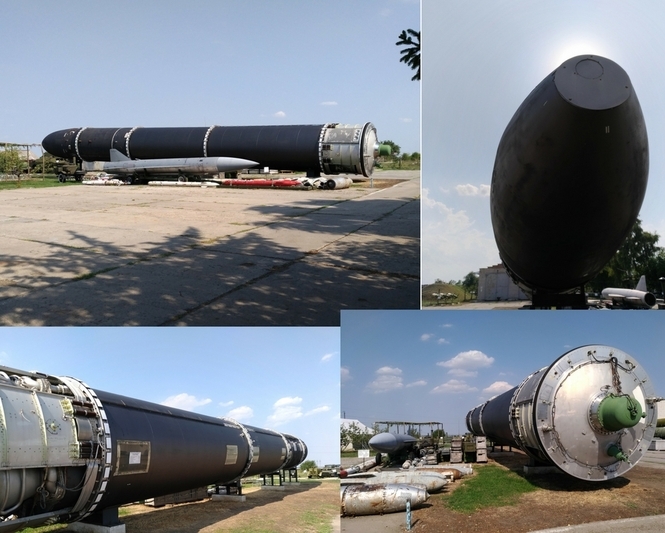 A few years ago the launching position of 309th Missile Regiment, (including silos, surface equipment) was reconditioned into museum, keeping all the facilities functional. 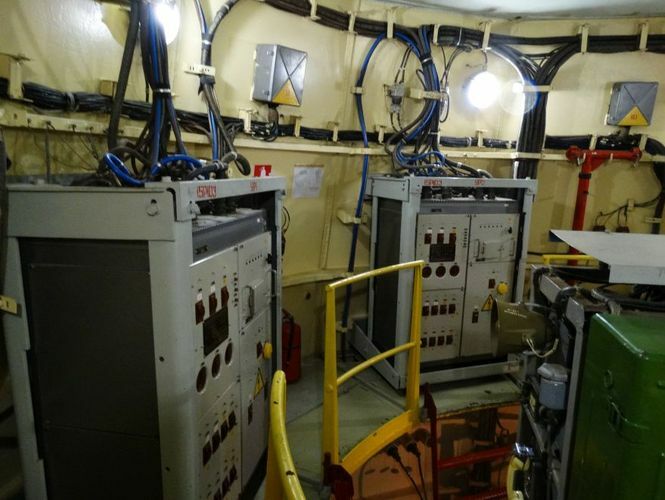 Officers, who served on this launching position and provided solidity of nuclear shield of the USSR, still work in the museum and provide functioning of this once top-secret equipment. Therefore their narratives of nuclear power and battle duties - from the first person, but not train on books. 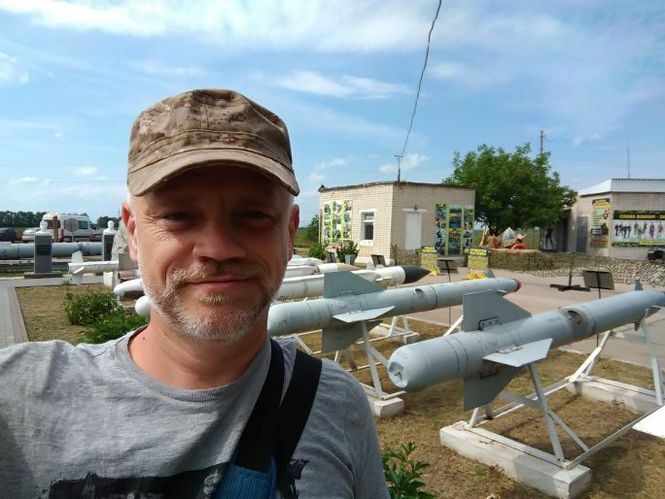 And the former Commander of Regiment of 43rd Rocket Army manages a Museum. Protective cover of the silo launcher which weighs 120 tons, opens completely in 8 seconds. 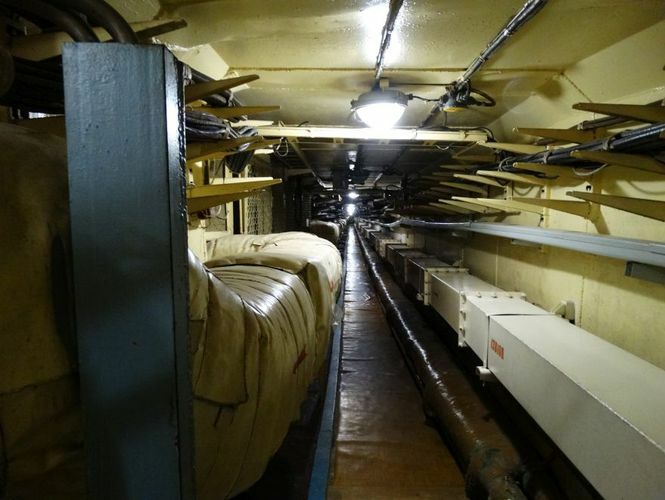 You can see missiles, 12-level underground command center (allowed fully autonomous operation within 45 days), satellite communication systems, rocket engines, huge military tractors, supervision systems with large-caliber machine gun ring mounting during excursion. Ukraine became the third state in the world by the amount of nuclear weapon after disintegration of the USSR. There were 220 units of strategic carriers in our country. They included 176 mine rocket launchers with intercontinental ballistic missiles; each has from six to ten nuclear warheads. There were 1240 nuclear warheads total. Each of these 1240 warheads are tens of times more powerful than nuclear bombs that destroyed Japanese cities Hiroshima and Nagasaki in 1945. In addition, 44 strategic bombers were on the armament. Rockets and airplanes had a nuclear armament: 1272 warheads for ICBM and 672 - for air based cruise missiles. Except the weapon listed above, there were 2500 units of tactical nuclear ammunition on territory of Ukraine. Why are all this top-secret armaments accessible for tourists today? Independent Ukraine proclaimed in Declaration of Sovereign that would adhere to three nuclear-free principles – don’t apply, don’t produce and don’t acquire a nuclear weapon. This politics realized consistently, and on 14th of April 2011 our country liquidated the last carrier of nuclear weapon on the territory. The 43rd Rocket Army, which had one of the biggest nuclear-missile potentials in the world in their arsenal, was disestablished in August, 2002. 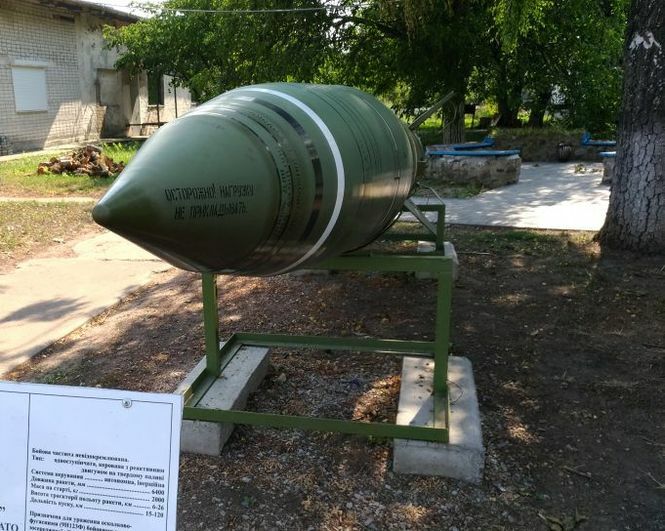 The Strategic Missile Forces Museum is located on launching position of 309th Missile Regiment, that was a part of the complement of the Pervomayskaya Division of the 43rd Missile Army. Excursion to Museum gives you the unique possibility “to touch” to our recent past, feel indomitable power of hundreds of megatons of the warheads. In a few seconds after the Pervomayskaya Missile Division received an order about a launch, 86 missiles had to start and would deliver 700 nuclear blocks to the aims (mainly in the USA), each with the individual aim. And there is a good occasion to think about wisdom, responsibility and importance of timely negotiations. 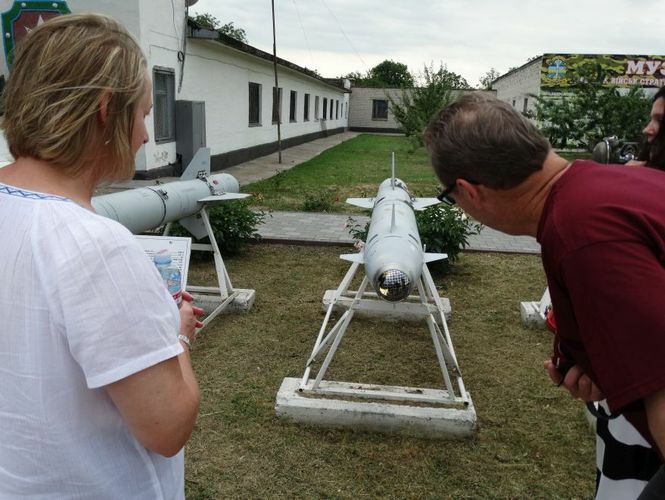 Welcome to guided tour to Strategic Missile Forces Museum in Pobuzhskoe town, Ukraine with "Ladya Tour"!